The necropolis is located northeast of the village of Redina and south of the hamlet Mazgyovitsa of the village Leskov dol. 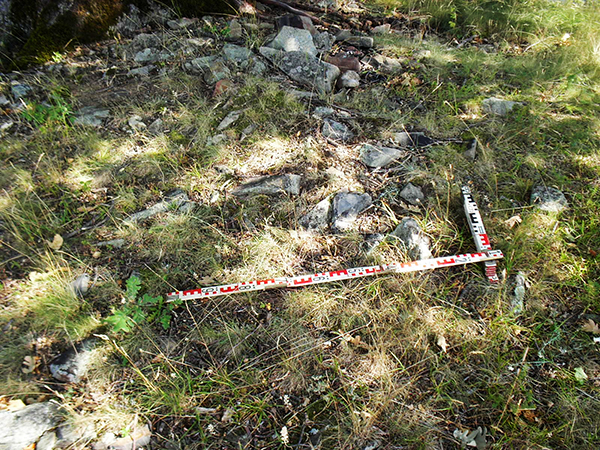 It consists of two groups of mounds about 700 meters away from each other at 1000 m altitude. The first (Eastern) group consists of four mounds and the second (western) - of three. 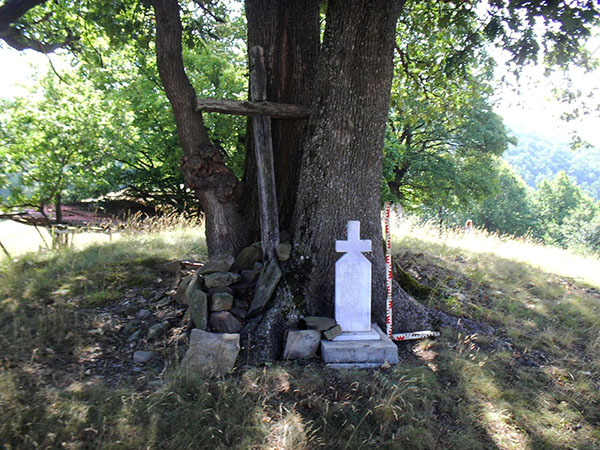 At the eastern group is arranged sanctuary with two crosses (St. Spas and Saints Cyril and Methodius).Besides the four mounds at the place is situated as well as a spring and venerable tree. 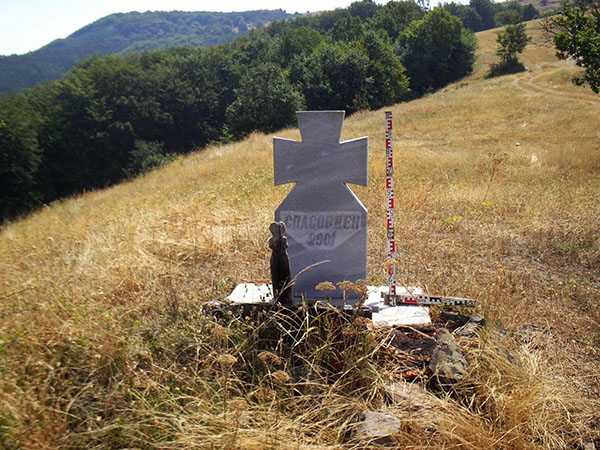 The crosses are placed on two small mounds lying in the center of the group. West of them also have a small mound, but through it pass a cart road. 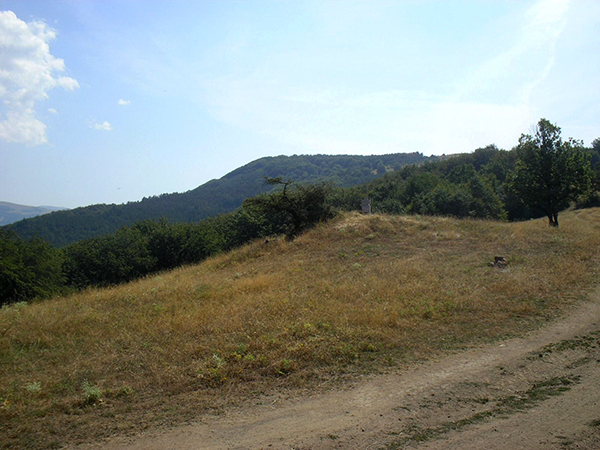 The easternmost mound (Mound № 1) is the largest one. 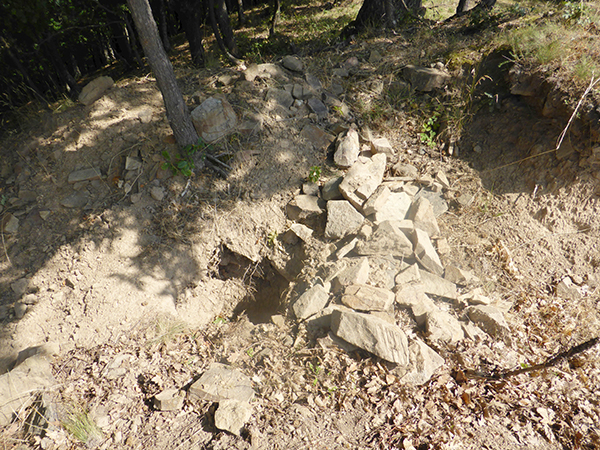 On its top treasure hunters tried to dig a pit, but as is evident from the dug trench, the mound is made up of large stones, which hinders for its removal and the caused damages are not fatal. 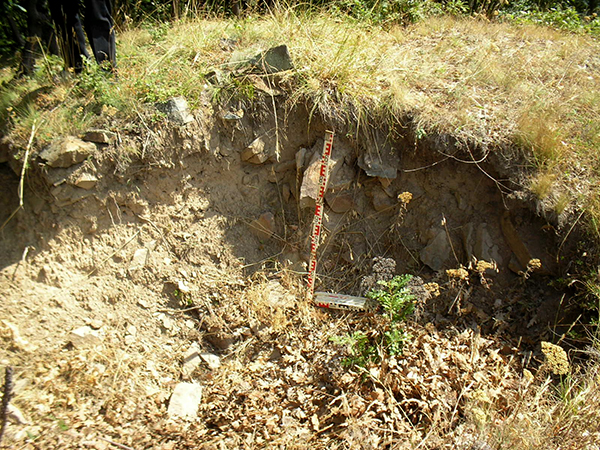 According to local residents, some time ago in this mound have been discovered a scales and silver coins. 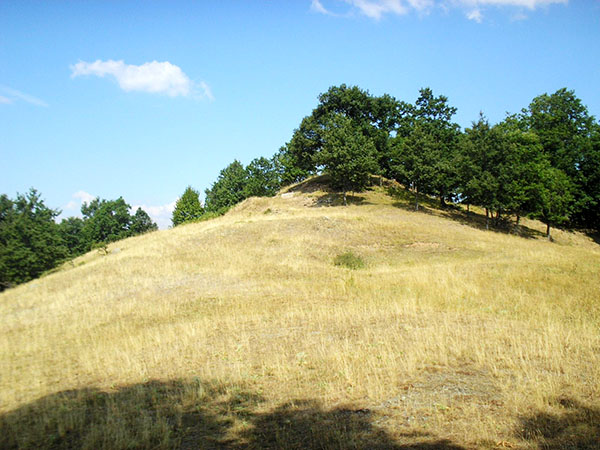 Mound № 2 is located about 70 meters southeast from the first one and is covered with trees. At the biggest tree is placed cross devoted to the Saints Cyril and Methodius. The mound is covered with stone casing, which is clearly visible. 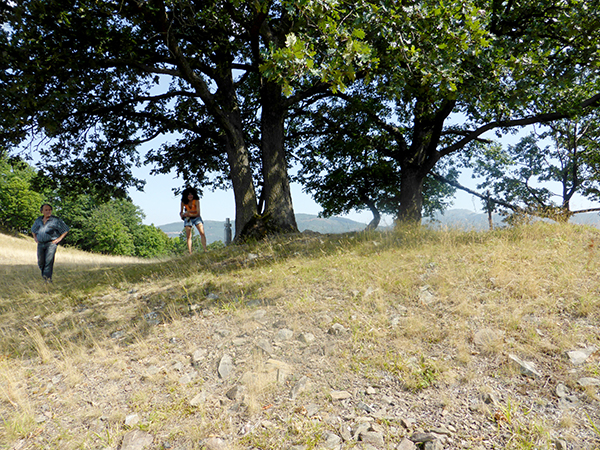 Mound № 3 is the smallest of the group and is located about 50 meters from the second. 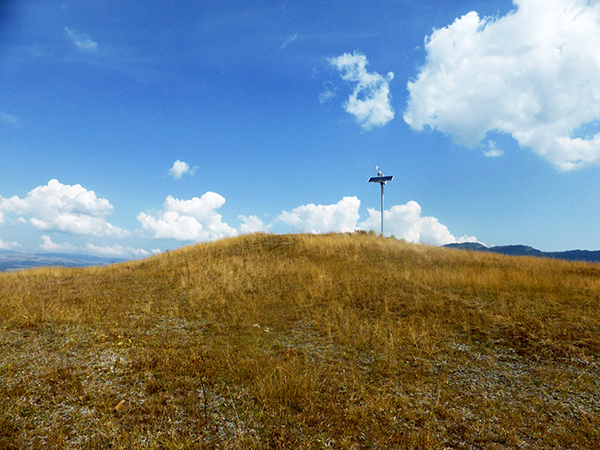 On the top of the mound is placed the second votive cross dedicated to St. Spas. The fourth mound (Mound № 4) is with spilled shape. The cart road passes over it, and apparently the mound was not discernible for the local people. The western group of mounds is situated even higher and they can be reached after climbing the steep ridge of the mountain ridge. 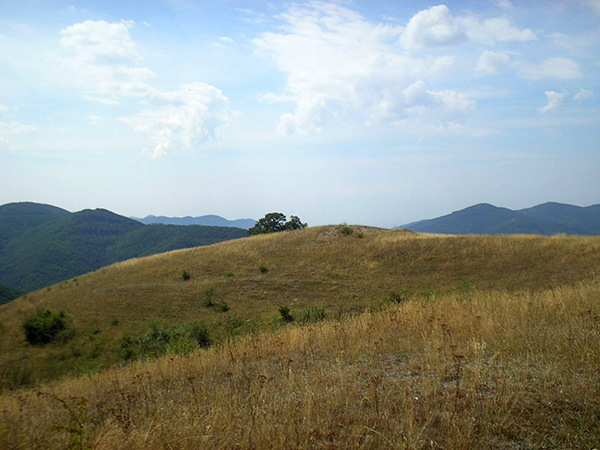 The group consists of three nearby situated hills, among which the northern one (Mound № 5) is the greatest. It is heavily dug by treasure hunters. According to the information given by the locals the place were destroyed with machines. Some time ago the excavations were buried so now they cannot be seen but around the mound are visible traces of chain machinery. The mounds № № 6 and 7 are located close to each other and south of Mound № 5. They are small and are also partially affected by treasure-hunting activity. 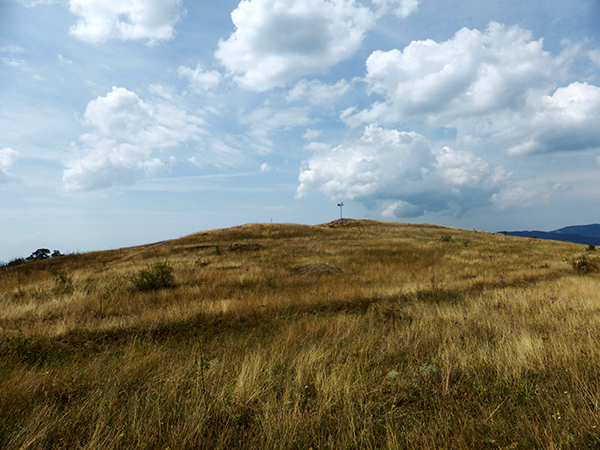 The mounds near Redina are very interesting and valuable archaeological monuments. The large number of burial mounds shows that the place was used as a cemetery for a long time. 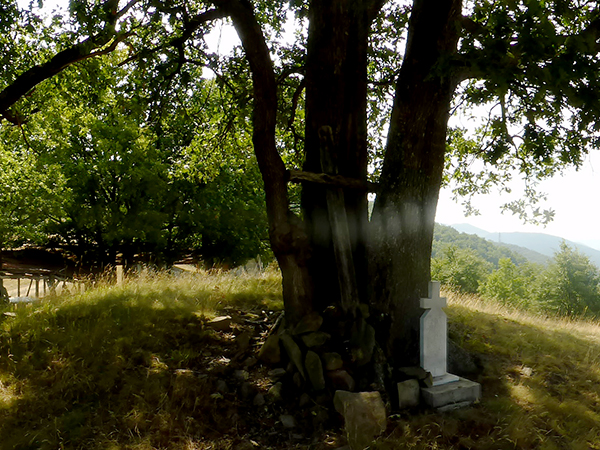 The funeral practice can be connected with the Thracian tribes Triballi for which it is known that during 5-4 c. BC inhabited the lands between the rivers Iskar and Morava. The necropolis is located in an appropriate place - with panoramic views to the surrounding area, relatively flat terrain on the crest of the ridge and water source, which was probably needed for the performance of religious rites. The Christian consecrated ground and the two crosses placed on the mounds are an impressive example of historical continuity. The memory about the "sacred" place have been survived for two and a half millennia, and the combination of Christian beliefs, the ancient Thracian tombs and the magnificent views of the Iskar Gorge enhances the impression of eternity and timelessness. The necropolis and consecrated ground are easily accessible because to the village of Redina goes asphalt road. 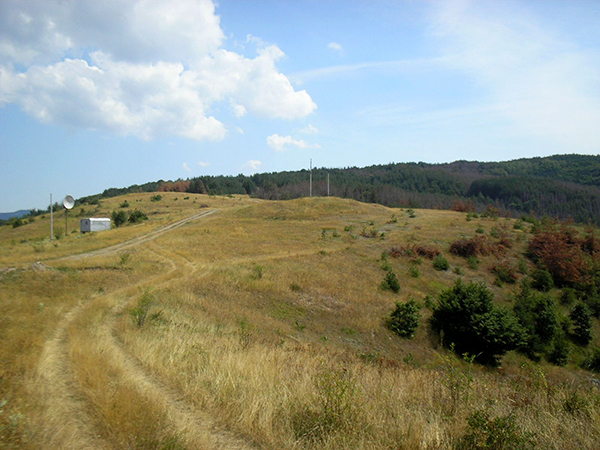 The turnoff to Redina is situated south of Svoge, about 500 meters from hydroelectric power station “Prokopanik”. The exit continues on asphalted road that winds, climbing the steep slope to the village of Redina.About the second kilometer at one U-turn to the left is shaped a terrace with panoramic views to the Iskar Gorge. The asphalt road ends after about 2.5 kilometers from where begins a dirt road. 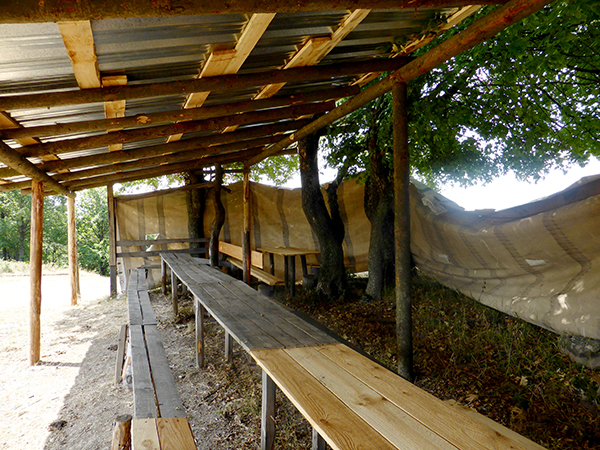 It leads to the hamlet “Shurdilitsa”. From here the path turns north through a pine forest and after about 500 meters turn east along the crest of the ridge on which is located the first mound. 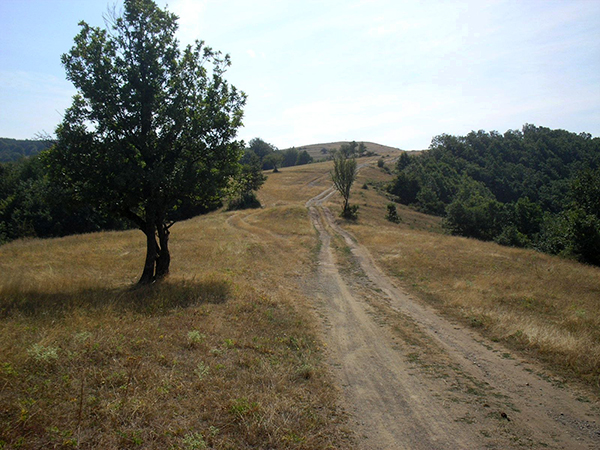 After another 500 meters the road leads to the crest of the ridge, where is situated the Eastern group of the necropolis and consecrated ground. The western group of mounds is located in east direction. It may be reached by following the cart road and after one more climb. 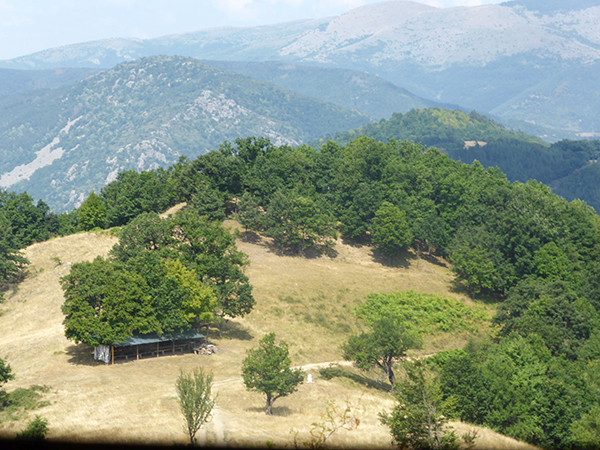 The place where is located the group opens a panoramic views to the Iskar gorge and the road to the left (south branch) brings back to the village of Redina.